Over the course of the last week, Namo TV has been the focal point of the debate surrounding misuse (or abuse) of power by the incumbent government. With the nation scheduled to go to polls in less than a week, it is crucial to determine the legal status of this channel, so that appropriate action can be taken by any relevant authority. Notably, the Election Commission of India has issued notice to the Ministry of Information and Broadcasting, in order to determine the legal status of NaMo TV. 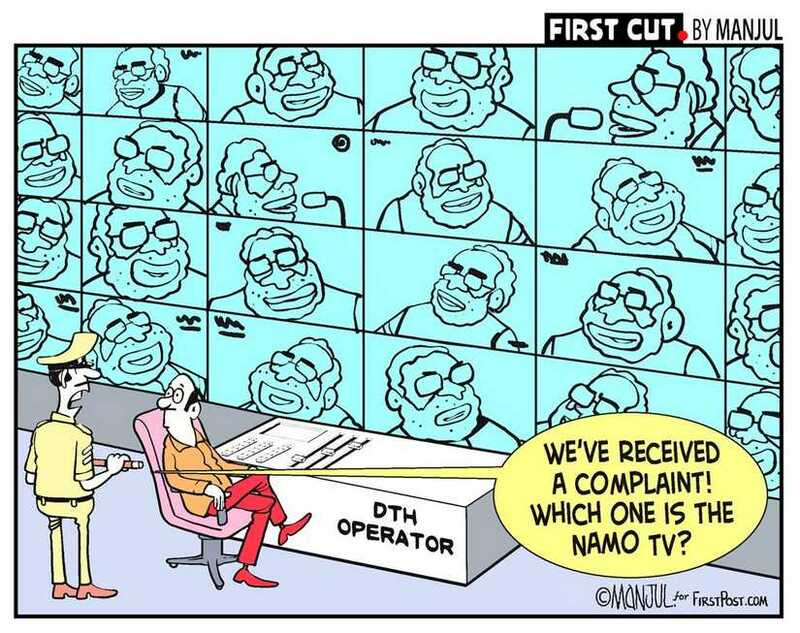 A prima facie perusal of the channel and the content that it displays (Narendra Modi’s speeches and rallies) present two important questions of legal compliance, the answers to which should (ideally) determine the future of this channel: first, does NaMo TV comply with the requirements under broadcasting law? ; second, does NaMo TV comply with the requirements under election law? Importantly, if the answer to either question is in the negative, then the channel must cease to operate with immediate effect. I shall proceed to answer both questions in turn (This instalment answers the first). Does NaMo TV comply with the requirements under broadcasting law? In order for a TV channel to legally broadcast content in India, the company that owns it must apply to the Ministry of Information and Broadcasting (MIB) for permission to “uplink” the channel. The legal instrument which governs this regime is the ‘Policy Guidelines for Uplinking of Television Channels in India’ (hereinafter ‘guidelines’) issued on and enforced since 5 December, 2011 by the MIB. This 14-page document contains comprehensive guidelines on the method of application for permission, the legal criteria governing it, the grant of permission by the MIB, etc. and also prescribes sanctions in case of any violations. The procedure for obtaining such permission is helpfully enlisted under Clause 9 of the guidelines. The applicant company (which must be a company registered under the Companies Act, 1956) must apply along with all the requisite documents and necessary fees to the MIB. If found eligible as per the criteria laid down in the policy guidelines, the application is sent for security clearance to the Ministry of Home Affairs (MHA). After having obtained this clearance, the company is issued a “formal permission”, so that it is able it to obtain all necessary licenses and clearances from the WPC Wing, Ministry of Communications & IT. At this juncture, the mandatory nature of these guidelines must be made resoundingly clear. The language used in the guidelines is not in the nature of mere prescriptive requirements, but compulsory and binding conditions. If found to be in breach of any of these conditions, Clause 8 (‘Offences and Penalties’), read with Clause 5.9 of the guidelines, empowers the MIB to suspend/revoke the permission granted to the channel, depending on the nature and severity of the transgression. Let us now come to the issue as to where NaMo TV ought to be located within this framework. Under the guidelines, channels have been classified into two categories: “Non-news and current affairs TV channel” and “news and current affairs TV channel”. Under Clause 3 of the guidelines, the latter is defined as “a channel which has any element of news and current Affairs in its programme content”. Even a prima facie perusal of the content of NaMo TV, which follows and displays Modi’s speeches and rallies, would reveal that it clearly fits within this definition, thus making it a “news and current affairs channel”. The legal import of this classification is, among other things, a heightened standard of scrutiny, an enhanced set of domestic ownership-related criteria, and the requirement of a higher net worth of the company. Unfortunately for NaMo TV, however, it does not feature on either list. This can mean one of two things: either the owner company has applied for permission and such application is currently being processed, OR the company has not applied for permission at all. As per reports, NaMo TV falls in the latter category. In either case, the fact that no MIB permission is in existence simply means NaMo TV cannot be broadcast. The fact that it is still being displayed makes it ultra vires the guidelines, and therefore illegal. Interestingly, the liability for this illegality cannot rest on NaMo TV (or, for that matter, its owning company) since the company lies wholly outside the purview of the guidelines. This is because it has not applied for permission at all, and has thus not stepped into the regulatory space of the guidelines. The answer to the question "Who is to blame?" can be found in the ‘Guidelines for Obtaining License for Providing Direct-To-Home (DTH) Broadcasting Service in India’, which is also issued and enforced by the MIB. Article 6 (‘Prohibition of Certain Activities’) of these guidelines states, “The Licensee shall not carry any channels prohibited by the Ministry of Information and Broadcasting.” Article 20 (‘Penalty’) empowers the MIB to not only revoke the license of the DTH service provider, but also to impose a “penalty [of] up to 50 crores”. Further, Clause 1.4 of the Uplinking Guidelines clearly specifies that a company which is providing an uplinking hub “shall uplink only those TV channels which are specifically approved or permitted by the (MIB) for uplinking from India.” The liability for illegally carrying NaMo TV, a channel which does not posses the requisite licenses or permission, thus rests with the DTH service providers and the providers of the uplinking hub. After the notice issued by the Election Commission to the MIB, the ball is in the latter’s court. After reviewing its own legal instruments and regulatory powers, it should come to the unambiguous conclusion that NaMo TV is being broadcast illegally. 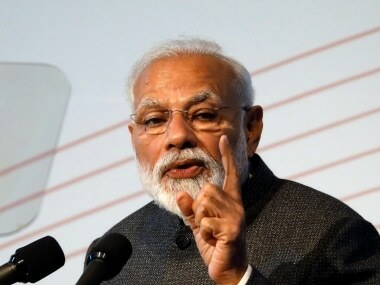 However, an early report on 6 April claims that in response to the notice issued by the Election Commission, the MIB has stated that NaMo TV “is an advertisement platform launched by DTH service providers which does not require government nod”. Upon reviewing the relevant instruments, it turns out that this is indeed the case, i.e., a DTH service provider is allowed to carry advertisements without having obtained any permissions/licenses for the same. Importantly, however, the ‘Guidelines for Obtaining License for Providing Direct-To-Home (DTH) Broadcasting Service in India’ place relevant fetters on the content of such ads. Article 5.1 states: “The Licensee shall ensure adherence to the…Advertisement Code…laid down by the [MIB].” Reference must now be made to the Cable Television Network Rules, 1994. Rule 7 of this instrument, which lays down the ‘Advertising Code’, specifies under Clause 3: “No advertisement shall be permitted, the objects whereof, are wholly or mainly of a religious or political nature; advertisements must not be directed towards any religious or political end.” (emphasis supplied). It must be noted that Rule 7(3) cannot be read in isolation. It must be read with the Supreme Court’s 2004 order in Ministry of Information and Broadcasting Vs M/s Gemini TV & Others, and a 2004 letter issued by the ECI (which operates as a direction), both of which deal with the telecast of political advertisements. The thrust of these instruments is to create a regime under which a political party or a private individual seeking to broadcast a political advertisement must apply for certification to the ECI before such broadcast is made. The Commission is empowered to decide on the validity of such advertisement, and can even direct the applicant, with binding effect, to delete/modify the content of the advertisement. Since NaMo TV carries exclusively political content, and has seemingly not applied for any such certification from the ECI, it is in clear violation of Rule 7(3) of the Cable Rules. By reference, it is a violation of Article 5.1 of the DTH License Guidelines. Notably, it is the MIB which is empowered to sanction the DTH service providers for violating this prescription. If the MIB has indeed chosen to wash its hands off the issue by claiming that NaMo TV is an advertisement platform, and thus exempt from supervision, it is an unfortunate instance of under-regulation. When the law and its associated instruments lay down a perfectly valid regime to regulate certain kinds of content, it is bad policy (in addition to a breach of the law) for the empowered agency to take the back seat. It can only be hoped that in its response, the MIB will take the necessary and mandated action against the service providers for having breached its guidelines and prescriptions. Gauging by early reports, however, this does not seem to be the case. Next, we must analyse whether NaMo TV, and the content it is displaying, is in compliance with the law on elections in India. Does NaMo TV comply with the requirements under election law? Having established that NaMo TV is illegal under the regime of broadcasting law, I shall now turn to the law on elections. The most commonly cited instrument (although it does not have statutory status) is the Model Code of Conduct (‘MCC’), which is a collection of norms drafted and enforced by the Election Commission of India (‘ECI’). It lays down a general set of rules to be followed by all political parties before and during the election process, both at the national and state level. Aimed at ensuring the existence of a level playing field, the MCC came into force as soon as the dates for elections were announced on 10 March. The launch of the operations of NaMo TV sparked a heated debate on whether the existence of the channel offends the MCC. The Opposition parties (Congress and AAP) addressed letters to the ECI, inquiring about the interaction of this channel with the MCC norms. It has been reported that the EC will issue an official response on 9 April, when it meets. For the purposes of this instalment, I shall assume that NaMo TV is an advertising platform, as clarified by the Ministry of Information & Broadcasting (MIB) on 6 April. In order to pre-empt what an ideal response from the ECI should look like, reference must first be made to the relevant provision of the MCC. Clause VII(4) states in very clear terms: “Issue of advertisement at the cost of public exchequer in the newspapers and other media and the misuse of official mass media during the election period for partisan coverage of political news and publicity regarding achievements with a view to furthering the prospects of the party in power shall be scrupulously avoided.” (emphasis added) It is a foregone conclusion that if NaMo TV is operating at the expense of the public exchequer, then it represents a blatant violation of the MCC. However, the premise that NaMo TV is funded directly/indirectly by the State might not be true at all. In the absence of any evidence to this effect, it cannot be said that the channel is a violation of the MCC. Of course, the ECI has the power to determine if any public money has been spent on the channel, and then order the channel to cease operations immediately. But to assume that NaMo TV violates Clause VII(4) of the MCC without any conclusive proof about its ownership and/or funding is a classic case of putting the cart before the horse. But while a violation of the rule against state-funding of ads might be a premature conclusion, this is not the case with another vital principle of the election law, i.e., while the MCC is in operation, potential advertisements must pass under the scanner of the ECI before they are telecast. As has already been mentioned in the previous instalment, the Supreme Court’s 2004 order in Ministry of Information and Broadcasting Vs M/s Gemini TV & Others, and a 2004 letter issued by the ECI (which operates as a direction), both of which deal with the telecast of political advertisements, are relevant in this regard. 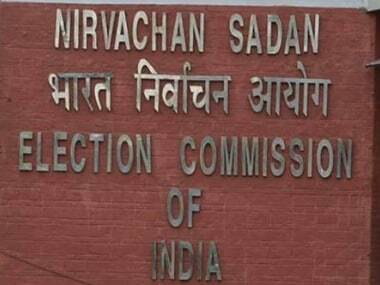 The thrust of these instruments (both of which form part of Annexure 10 of the Manual on MCC prepared by the ECI) is to create a regime under which a political party or a private individual seeking to broadcast a political advertisement must apply for certification to the ECI before such broadcast is made. The ECI is empowered to decide on the validity of such advertisement, and can even direct the applicant, with binding effect, to delete/modify the content of the advertisement. When it is not a political party/candidate who seeks to issue an advertisement, such person must, along with the application for certification, state on oath that the ad “is not for the benefit of the political party or a candidate and that the said advertisement has not been sponsored or commissioned or paid for by any political party or a candidate”. If on the other hand, it is a party/candidate which seeks to advertise, then the application must clarify that the ad is intended to further the prospects of that particular party/candidate, and also lay down a comprehensive expenditure chart. This is to be added to the election expenses incurred by the candidate. Since no such application for certification has been made for NaMo TV, its broadcast is in direct contravention of the directions issued in this regard by the ECI itself. The judgment of the apex court and the direction issued by the ECI both empower the Commission to not only order a violator to stop the violative conduct, but also to directly seize the offending equipment. Reference must also be made Chapter 15 of the Manual on MCC. Although it deals with print media, the principle espoused by it can undoubtedly be extended to the instant case. It makes reference to Section 171-H of the Indian Penal Code, which prohibits expenditure by any person on an “advertisement…for the purpose of promoting…the election of [any] candidate”, unless it is with the “general or special authority in writing” of the candidate. The section envisages a fine of Rs 500 in case of any violations. The manual deals with this issue in three ways. First, for an ad with a traceable source, if the written consent of the candidate in question has been obtained, then the expenses incurred are to be added to the election expenses of the candidate. Secondly, if such written consent has not been obtained, then action may be taken against the “publisher” (for a TV telecast, this may either be the DTH service provider or the channel itself) under Section 171-H. Lastly, if the source of the ad (in other words, the owner of NaMo TV) is not traceable, then the Manual suggests that the publisher (in this case, the DTH provider) be contacted, in order to obtain appropriate information. The problem with accurately analyzing this issue under election law is that the exact nature of NaMo TV is not known. If it is indeed an advertising platform, as claimed by the MIB, then all of these restrictions are squarely applicable. However, the vice of illegality under the election law regime can be easily cured. 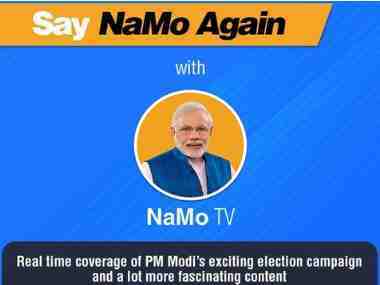 Once NaMo TV is formally classified as an ‘advertising platform’ instead of a channel, it will essentially exit the ambit of broadcasting regulations, and enter wholly into the domain of electoral regulations. After this, it is simply a matter of taking the platform off the air while the owner (whoever he/she may be) applies to the ECI for certification of the content. Once such certification is received, the expenditure incurred may simply be added to Modi’s election expenditure, and the platform can continue to be broadcast by all DTH service providers. The only barrier that will remain, then, is that of certification by the ECI. Recently, it denied clearance to six advertisements submitted for certification by the Congress. The Congress has maintained that there was nothing objectionable in the ads, and has alleged that the poll watchdog was “acting under the Union government's pressure”. It can only be hoped that the ECI scrutinises any application for certification concerning NaMo TV in an objective manner. With the nation scheduled to go to polls in less than week’s time, nothing less than a comprehensive and well-measured decision by the ECI to deal with NaMo TV is the need of the hour, especially if it aims to fulfill its constitutional role of ensuring free and fair elections. The author is a student at NLSIU, Bangalore. He is the Founding-Editor of Law School Policy Review.